Director Karyn Kusama’s bleak, intensely depressive template for Nicole Kidman’s dire transformation is only partially successful. Kidman has fearlessly strengthened her reputation as an actor with idiosyncratic characters: “Dead Calm”, a damsel in distress; a homicidal weather forecaster, “To Die For”; “Moulin Rouge”, a courtesan; Academy Award for “The Hours”, playing doomed writer, Virginia Woolf; she’s depicted Grace Kelly, explorer Gertrude Bell, war correspondent Martha Gellhorn; as “Erin Bell”, a worn, tainted, soused detective in “Destroyer” she stupefies in her enactment of a woman at the end of the line, hopelessly, hauntingly tackling her demons, reliving her choices; revenge, righting a heinous wrong, that she moderately precipitated, is her sole goal; she is a dismissive mother, detested by her daughter “Shelby” (interesting, compelling Jade Pettyjohn); her belligerence, atrocious disrespect for her colleagues isolates her from the Los Angeles Police Department; she is a single-minded judge, jury, executioner. Kidman delivers but the film is hardly worth the effort. 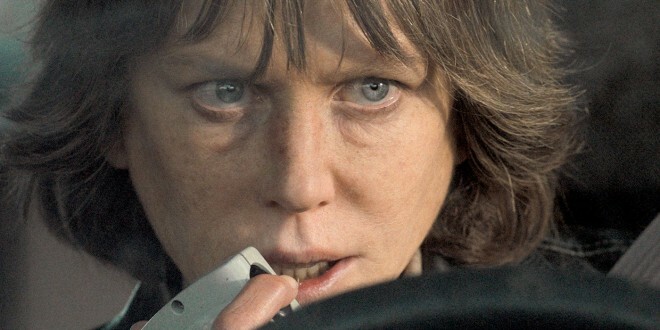 A robbery gone awry; a loved one slaughtered; detectives whose gang/drug infiltration leads to corrupt conversion; “Erin”, the only minimally interesting character is dour, robotic, staggering from one foreseeable scene after another; a blighted scenario, “Destroyer”, crumbled, imploded from the get go; Kidman, Phoenix-like, will rise from the conflagration, to don another avatar.